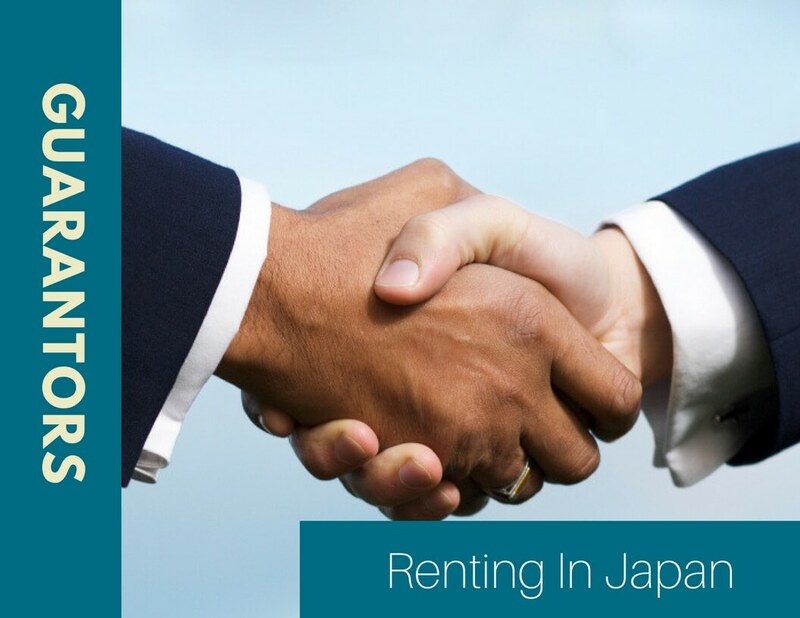 What's a Guarantor for Renting in Japan | Do You Need One? Guarantors, Do you need one? What is a Guarantor Cosigner? This is someone who is willing to cosign for your apartment and take responsibility for the rent. This is insurance for the landlord. The requirements of being a guarantor here in Japan are that they must be over 20 years of age. They also need to be a Japanese citizen. In some cases a permanent resident that is in Japan who speaks fluent Japanese can be as well. Do I need a guarantor cosigner? No, more than half of the apartments in Japan require one. If you do not have one there is nothing to worry about. It just means that you'll have a lower selection of apartments to choose from. You will need a guarantor however for very special circumstances. For example if you cannot show any proof of income, employment or savings. This services is a rough translation to something called the hosyo gaisha. It is needed to receive an apartment here in Japan. The service acts as the insurance for the rent to be paid. These companies are the ones who will be processing your information in the beginning and will either accept or deny your application. This services is part of your initial fees and the cost is between 30% to 130% of your rent. In most cases the cost will be 50%. Either the landlord or management company will have a set of guarantor services that they use. You do not get to choose the company yourself. Do I need to go through a guarantor company? 99.9% of all the apartments in Japan require this so yes. If I have a guarantor cosigner do I still need to go through a guarantor company? Generally yes, it is a common misunderstanding that if you have a cosigner you do not need to pay for the service. Usually the cosigner is required from the guarantor Company not the owner of the apartment. So usually you have to pay for the guarantor Service even though you have a cosigner. To most people this doesn't make any sense. Why do you have to pay for the service when you already have a guarantor. The reason for this is that the companies are the ones that take responsibility for the rent. So basically they call the shots for approval. It is still possible to find a deal where you do not need to pay a guarantor company fee if you have a cosigner. Keep in mind that is very rare so you shouldn't count on it. Is it possible to not pay for the guarantor service? Yes, it is definitely possible that you do not need to pay for the company in the beginning. Many of the apartments that are listed off of our website actually have deals where you do not need to pay this fee. This is still a bit of a rare thing but we try our best to lower the cost. Some apartments give you the opportunity to go through a foreigner friendly service which has English services. Keep in mind that this service is usually twice as expensive as a normal Japanese company. Also keep in mind that there is very little communication between you and the company. Here at Gaijin Apartment Helper we will help you through the process with the Japanese companies. All this can be very confusing and this is just one of the processes of receiving an apartment in Japan. This is one of the reasons that we started this business to help foreigners through the process of getting an apartment here in Japan. If you have any questions or are in need of our help please do not hesitate to contact us.